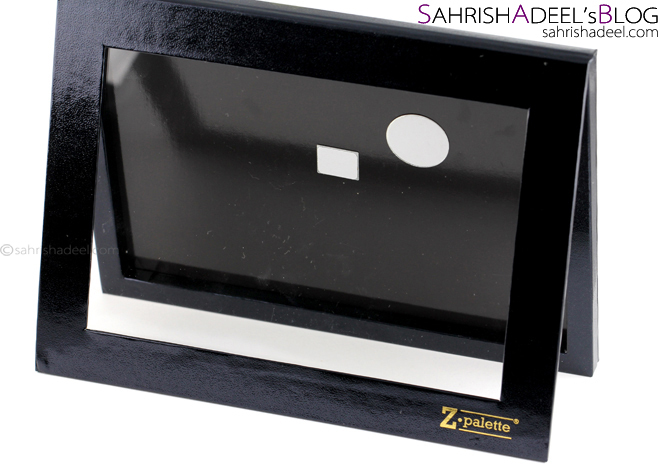 Z Palette Extra Large in Black - Review | Sahrish Adeel - Malaysia based Pakistani Beauty & Lifestyle Blogger! I was sent this Z Palette by Makeup Geek sometime ago. I have been seeing people using these palette for many years but for some reason, I was never compelled to them. Let's see if I am a Z Palette fan now or not! They say: 'The Extra Large Black Z Palette is the LARGEST Z PALETTE EVER! With enough surface area to fit 35 standard eyeshadow pans, and 12 Makeup Geek blush pans, the EXTRA LARGE Black Z Palette is still super slim and sleek. A must-have for pro's and beauty-lovers alike! 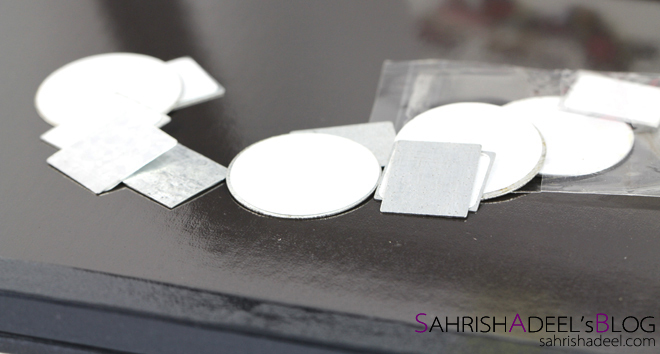 *Please note shadows made in non-metal pans (for example, MAC de-potted shadows) will need metal stickers to adhere them to the magnetic pan in the Z Palette. This review is coming from a person who needs to organize budget for a family which means, money can't just be saved for makeup as first priority will be something new for home, any future repairs, son's tuition fee; and the list goes on! Hence, I always try budget friendly items for my personal use until or unless I know I have some occasion / money to splurge on my wishlist. I had been using a simple DIY palette using a pencil case I found couple years ago. [You will see the Instagram photo below] It was working fine for me until I grew my collection for MUG shadows. Just when I was going thinking to either buy a Z Palette or make one with the help of YouTube tutorials, MUG sent me one to review. I guess it was a sign to start collecting these palettes now. And once you will get to the end of this review, you will know if investing in such a palette is a good idea or not. This Z Palette in Extra Large is quite sturdy and can hold 35 MUG eyeshadow pans which I did not believe when I got it but you can see the photos how I have 27 shadows placed in this palette and still has room for 8 more. The palette is sturdy enough to travel in a suitcase without you having to be worried about anything crushing your shadows. I still put a layer of bubble wrap between the lid and shadows, just in case. But I have tried pushing the clear part with my hand and it is really sturdy. Now I can clearly see why people keep depotting their makeup, it would save a lot of space and above that, having a customized palette feels so good. This palette has made it really easy for me to take all these eyeshadows with me when I am traveling. Overall, I am in love with this palette. I am expecting the plastic part to get scratchy and the card board part to tear with time but that highly depends on how one will use it. But I can see myself using this palette for a long time and probably ordering some limited edition and/or exclusive Z Palettes at Makeup Geek. Z Palette in Extra Large costs $28 and you can buy it from Makeup Geek's website here. As far as I know, this is the only one in this size but Makeup Geek has some gorgeous Limited Edition Z Palettes and also some exclusive Z Palettes that you can see here. 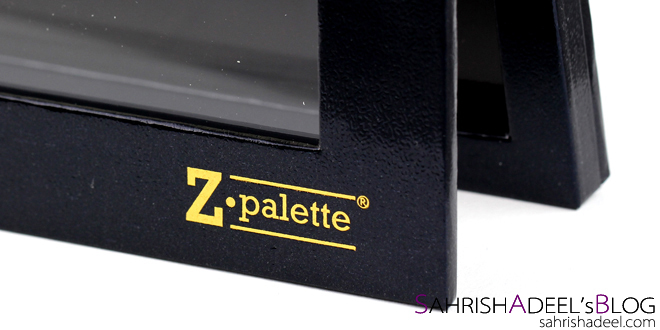 Have you tried any of the Z Palettes yet or thinking to buy one for yourself? - Reviews on Makeup Geek products. The Instagram photo of my DIY attempt - which actually worked.